Always pushing the boundaries of innovation, development and style. The 2019 Platinum delivers on an instrument that is the first of its kind… off of Joe’s workbench. In celebration of the 60th anniversary of Statehood, Joe took the concept of a pineapple (which is so synonymous to Hawai`i) and created a Pineapple Tenor. This instrument features a Cobra Slotted Headstock, a classic 17 inch Tenor scale and a Kanile`a first ever, pineapple shaped body. Accenting Premium Curly Mango was used to highlight the the wood inlay rosette and Kanile`a armrest. Ola Ka ‘Aina CD is a compilation of various Kanile’a artists. The cd consists of all original compositions which are inspired by their own personal experience with reforestation and sustainability. This CD features Willie K, Kapena, Keauhou, Cody Pueo Pata, Kalehua Krug of Hi`ikua, Lina Langi of Na Wai Ho`olu`u O Ke Anuenue, Bruddah Sam of Vaihi, Karlie G, Ben and Maila, Aldrine Guerrero, Craig and Sarah, Gibson Ohana, Kahiau Souza, Kenneth Makuakane, Joe Souza and Derick Sebastian! 100% of the proceeds benefit our native Hawaiian Forests. Your generous support is appreciated. This is a CD you gotta have! Kanileʻa ʻUkulele is honored to represent Hawaiʻi in Madeira, Portugal at the Xarabanda Musical and Cultural Association’s Festival. This week-long celebration marks 140 years since the introduction of the Madeiran instrument known as the braguinha (or machete) to Hawaiʻi which led to the creation of the ʻukulele. As an expert ʻukulele builder of Hawaiian-Portuguese decent, Kanileʻa co-owner and master luthier Joe Souza will share his ʻukulele building techniques in workshops. He will also be joined by his family, wife Kristen and three sons, in the Braguinha Brotherhood concert, roundtable discussions and other planned events scheduled from May 1-8, 2019. A news story was done on Hawai`i News Now. We specialize in standard to professional grade musical instruments. Each `ukulele is finely hand crafted using the highest grade, well-seasoned wood and scaled to produce a perfect intonation. Every `ukulele comes with a 100% customer satisfaction, money back guarantee and our industry leading limited lifetime warranty. is) a daily joy to me. As long as there’s people making such beautiful things with love and dedication, there’s still hope for this blue world we’re living in, no matter the kind of people it’s piloted by… . Thank you so much for helping me pickthe most beautiful `ukulele that I have ever seen and the great part is it sounds better than it looks!I can’t keep my hands off of it. If I’m not playing my `ukulele and being blown away by the sound, then I’m marveling at the beauty of the woodand the workmanship. Thank you so much [Kristen], Joe, Micah and Lina for all your wonderful help and bringing the `Ukulele in to waikiki for me. 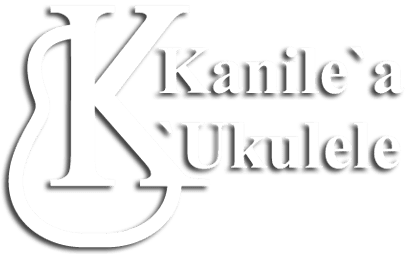 I am so thrilled and privileged to have joined your Kanile`a family and I know that I am going to get so much enjoyment from this wonderful Uke. I also would like to say that I have never experienced such warm and friendly staff and service from all of you and especially when our family went on your factory tour. Each and every one of you have such a love and passion for what you do and that resonates abundantly. Leighann Lyttle / from U.K.
Kanileʻa ʻUkulele is committed to reforesting Hawaiʻi, For every Kanileʻa ʻUkulele built, a native Hawaiian tree is planted. This brings a healthy environment and preserves the history of Hawaiʻi for generations to come. We are so excited to present to you the Live Stream of the 2019 @merriemonarchfestival on @hawaiinewsnow Here we have the beautiful Miss Aloha Hula 2017 @kelinae of @alohahulasupply shot by @keolaarakaki Don’t forget to tune in for this years Miss Aloha Hula competition on April 25! !